the horse from a Chinese point of view. Although many of the points made on this web site about the Kālacakra calendar are very critical of the Tibetan calendars of the Phugpa and Tsurphu traditions, those calendars have been in use for several hundred years, and continue to be used today. The most commonly used is that of the Phugpa system, with yearly calendars still produced in Tibet and Dharamsala, northern India. In order to compare dates in Tibetan history with western dates it is useful to have an archive of Tibetan calendars, and such an archive is made available here. Phugpa Tibetan calendar list - click here to access the list of Tibetan calendars for the Phugpa tradition. Tsurphu Tibetan calendar list - click here to access the list of Tibetan calendars for the Tsurphu tradition. As the initial epoch given for both the Phugpa and Tsurphu systems is 1447 C.E., there is not much point in having examples of their calendars until some time later. The calendars presented here start in 1450 C.E. The western dates given follow the Julian calendar up until 4th October 1582, and then immediately follow with 15th October, continuing with the Gregorian calendar. These should both be self explanatory. Some Tibetan almanacs calculate the Chinese intercalary months independently of the Tibetan intercalary months, and would give this month as Snake instead. The calendar here does not follow this system. It is also worth bearing in mind that the Chinese month names in the Phugpa calendar are on average two months earlier than they would be in a genuine Chinese calendar. The first line gives the lunar day number, the weekday, the lunar mansion name in Tibetan, the elemental combination between the weekday and lunar mansion, and then finally the western date. If the lunar day is omitted, then there is only one line given for the entry, and no western date is associated with it. If the date is duplicated, then there are two entries, each with their own western dates. This is a similar arrangement to that found in Tibetan almanacs. The second line of the entry gives the yoga and karaṇa for the day (both in Tibetan), the cyclic animal, trigram and number for the lunar day. The third line contains numbers that are usually printed in the bottom left corner of a daily entry in Tibetan almanacs. These are respectively for: the "longitude" of the true lunar day (the solar day and time when the lunar day changes), the longitude of the Moon, the longitude of the Sun, the "longitude" of the yoga, and finally the mean longitude of the Sun in terms of zodiacal signs and degrees. Many also include the longitude of the Moon calculated according to the old karaṇa system derived from the Kālacakra Tantra. See for example the illustration from the 2004 Lhasa almanac (it is the fifth set of figures from the left). However, this information is not included in the calendars available here. 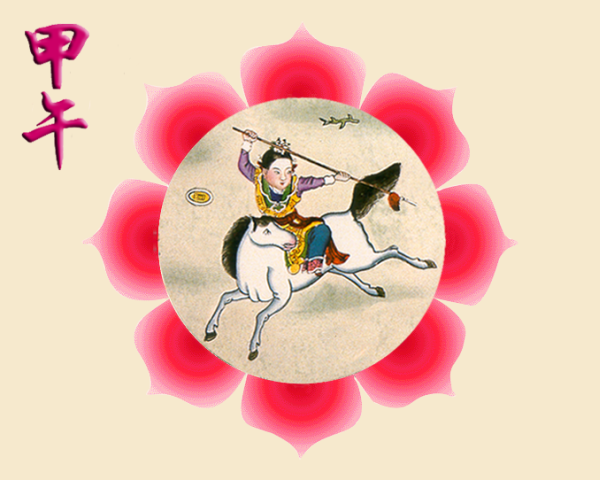 The third line of each daily entry gives Chinese symbolic information for the solar day: the element and animal combination, trigram and number. Finally, an extra line is given if the day corresponds to one of the main Buddhist festivals. The calculations used to produce the calendars presented here have been written in the C programming language, using binary coded decimal to ensure full precision (the range of integer values allowed by even modern processors is nowhere near sufficient for these calculations. In testing this software integers using 13 digits have been encountered.) For the Phugpa tradition these calculations are based on two main texts: the "White Beryl" (baidurya dkar po) by Desi Sangje Gyatso (sde srid sang rgyas rgya mtsho) and the "Essence of the Kalki" (rigs ldan snying thig) by Chenrab Norbu (mkhyen rab nor bu). For the Tsurphu tradition the three main texts used were the "Excellent Flask of Essentials" (nyer mkho'i bum bzang) of Karma Ngelek Tendzin (karma nges legs bstan 'dzin), the "Compendium of Practical Astronomy" (rtsis kyi lag len legs bshad kun 'dus) of Jamgon Kongtrul ('jam mgon kong sprul), and, the "Jewelled Garland" (nor bu'i phreng ba blo gsal mgrin rgyan) by Thegchog Dorje (theg mchog rdo rje). The results of these computerised calculations have been compared against many examples of both old and modern Tibetan almanacs. Whilst every effort has been made to ensure the accuracy of these calendars, mistakes can occur, and if you spot a verifiable one, please contact Edward Henning. It is worth noting that many Tsurphu calendar makers include the karaṇa value for the longitude of the Sun rather than the siddhānta. This makes no difference to the structure of the calendar – intercalary months, omitted and duplicated days, etc. – only to the values listed for the longitude. The Tsurphu calendars given here now (February 2013) also include the karaṇa Sun.